Lisa Tomlinson is a Researcher and Author and currently a lecturer at the University of the West Indies, Mona Campus in the Institute of Caribbean Studies. Her areas of specialization include literary and cultural studies (with an emphasis on film and music) of the Caribbean and African diaspora. She holds a degree in English Literature from Carleton University and a PhD in Humanities (Comparative Perspective and Culture) with a graduate diploma in Latin America and Caribbean Studies. 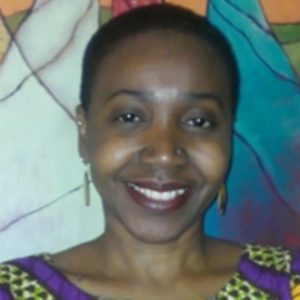 Dr. Tomlinson is the author of book African-Jamaican Aesthetic Cultural Retention and Transformation Across Borders (2017). Her publications include book chapters in Jamaicans in the Canadian Experience: A Multicultralizing Presence, Archipelagos of Sound: Transnational Caribbeanities: Women and Music, and International Reggae: Current and Future Trends in Jamaican Popular Music, as well as encyclopaedia entries in the Dictionary of Afro-Latin American and Caribbean Biography.